Back to Cusco the long way, via Auckland, Santiago (de Chile) and Lima. Overnight Lima and then back to a place I didn’t feel I’d spent enough time in last year, Cusco. Even better, JP is flying in on saturday. So, heaps better photos coming up of the Inti Rami festival than from my efforts last year. Better still, we get to see the Corpus Cristi celebration too. And yes, our timing is no coincidence. The coast of Chile is impressive from above. Black sand at the ocean edge, small and large villages, networks of mountainous roads and, mountains. High, crumpled, bits of land, mist still surrounding them in the middle of the day. Sea mist? Or perhaps the mist resulting from a contrasting strong overhead sun and the cold on their upper sections. Spectacular. Not many trees as we near Santiago. A few scattered on the lower reaches of the hills. Then, an ugly tailings dam. And then another. Containment walls, apparently effective, are very visible from above. Snow covered mountains now dominate. Looks like a continuous wall of snow capped mountains heading as far north as you can see. 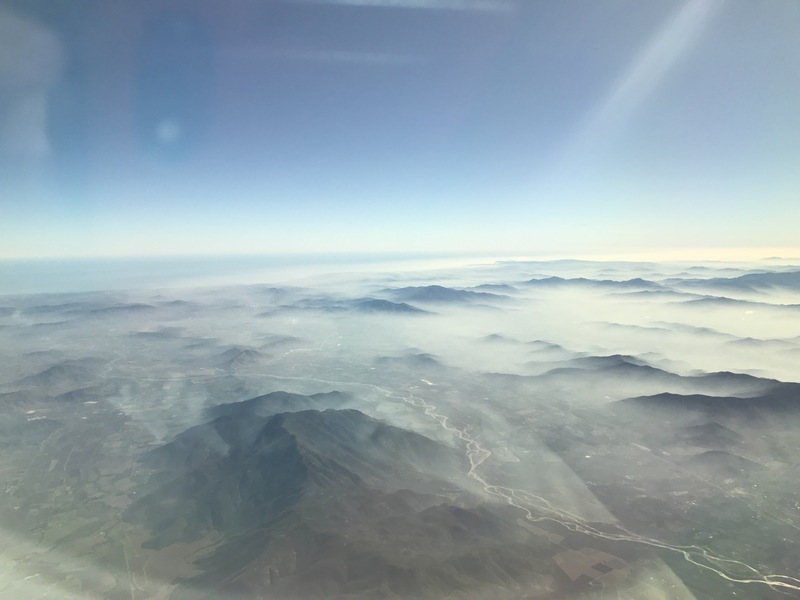 We are flying south now, to land in the beautiful Santiago valley. Railways, houses, swampy looking land below us and the mountains still to our left side as we steadily lose height and encounter the brownish smog of civilisation now on their lower sides. A few years ago in Oaxaca, Mexico, a plastic penguin in the main Zocolo had a similarly made, and sized, shark often beside it. Wondered what happened to them both? The shark was disappeared after strange damage was observed on others housed near it overnight. Maybe it was sold or just punctured. The penguin: last photographed at a skate park, in Chile. 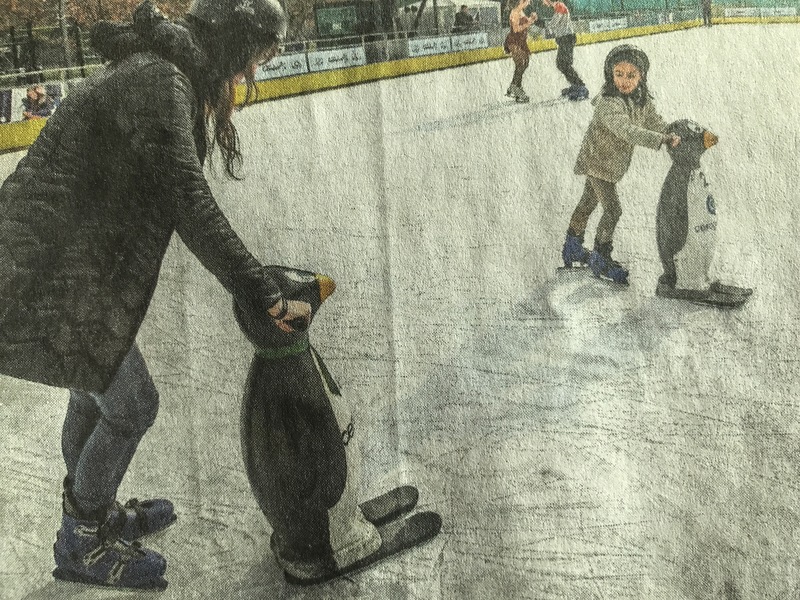 Reproduced here from the front page of a local newspaper!